Hundreds of cross stitch products available delivered world-wide at affordable prices: cross stitch kits, stitchery accessories and, of course, free patterns. Add your craft links. The purpose of this directory is to bring the online craft community together in one place to network and strengthen the future of crafting. A large variety of charts for gobelins available for download after purchase, but also free charts. 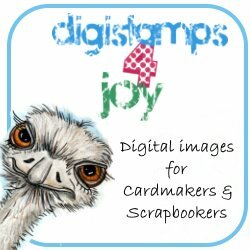 We provide cute, whimsical, fun, and sometimes serious, digital stamps used by the card making, scrapbooking, and journalling community! We also give out freebie digistamps once a month! We are a family owned and operated business specializing in hand poured pure soy candles and soy melt bars and handmade bath and body products at reasonable prices! 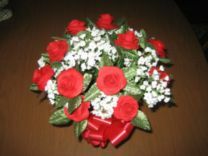 We also offer wholesale! 3d Decoupage Supplier, we supply Cards, Prints, Frames, Peel Offs, Accessories and much more! Come join our Top 100 Luv To Crochet Sites List. FREE graph! FREE GRAPH WHEN YOU BUY 2 ON THE SAME INVOICE. NEW ITEMS LISTED! Quality Pattern graphs, sports, football, characters, animals, to crochet! one of a kind handmade jewelry and crafts in a variety of styles and colors. all earring wires are either sterling silver or surgical steel. i use quality materials also. i also make collectables as well. Whimsical Stone & Custom Creations - Hand Painted Whimsical, Themed, OccuBug, and Googly Rocks with Hand Made Memo/photo Holders to add to the fun! Animal and nature inspired cards, prints, paintings, and jewelry. Custom animal portraits and custom orders available. 10% goes to a different animal charity every month. Visit Normans Country Creek for All of Your Handcrafted Country Hand Painted Lamps, Glass Lights, Handcrafted Lampshades, Hand Made Raggedy Dolls, Inspirational Harp Music, Oil Candles and Much More! Like all artists, I have many passions. One of them is making unique, unusual quilts! Another is creating every-day clothing out of recycled, rescued fabrics that others have given away.